When the RMS Tahiti of the Union line sails for Sydney Wednesday the wireless installation of the liner will be set in intermittent operation in an effort to eclipse the long distance record of 2,800 miles already held by the vessel. In addition to striving to set a new record the operator will place the port of Papeete on the island of Tahiti in direct communication with San Francisco, which is a feat not yet accomplished by the wireless. The aerograms from Papeete will be relayed from that point to the Tahiti, then to the RMS Manuka, which sails from the island June 28, and thence to San Francisco. Both these vessels of the Union line’s fleet are equipped with high power wireless apparatus and shipping men believe that the thousands of miles will he spanned without much difficulty. News dispatches are to be sent across the air and the ether waves will transmit the latest tidings from the mainland to the inhabitants of the distant island many hours in advance of the usual time. The Tahiti is well booked with passengers. Many of the voyagers will make the trip to Papeete to witness the native fetes celebrating the fall of the bastile. The festivities commence July 14 and are attended annually by tourists from all parts Of the world. A heavy cargo will he taken out by the Tahiti. The RMS Aorangi, which sailed from San Francisco May 29, arrived at Wellington the morning of June 20, as scheduled after a pleasant voyage across the Pacific. The Aorangi is due to complete its voyage at Sydney Tuesday. 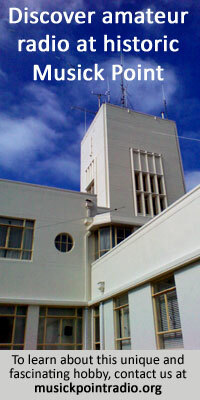 In 1924, RMS Tahiti set another distance record of 5500 miles when communicating from near Adelaide with Estevan Point radio station in British Columbia. 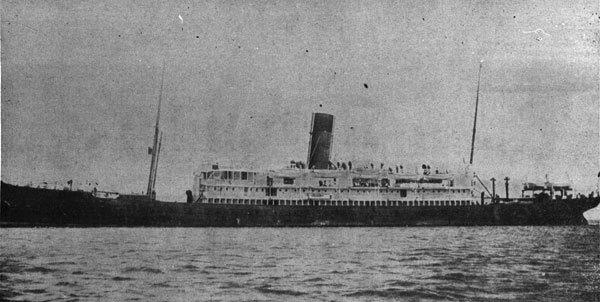 RMS Tahiti sank in 1930, west of Rarotonga.